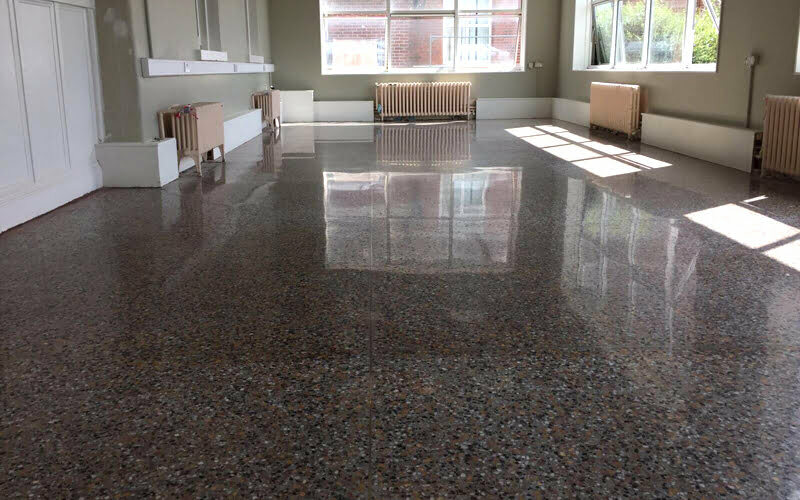 This amazing terrazzo floor was about to be covered with lino until the keen eye of our site manager spotted what it was made of and pointed out the possibility of restoring it to our client, the HSE. 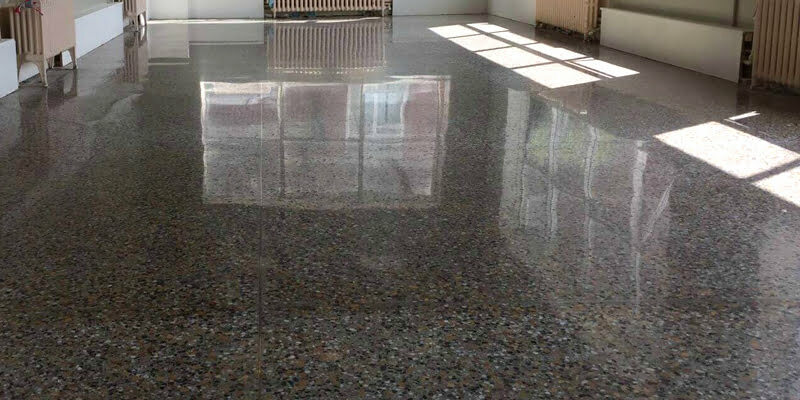 Terrazzo floors actually age very well and the older they are, the better they look. Our restoration team were on site at Midland Regional Hospital, Portlaoise, restoring internal brick work in the original hospital building. The floor where our team were working was covered in old linoleum and was badly contaminated. Out of curiosity, our site foreman Stephen lifted the lino to see what lay beneath and asked the HSE what they intended to do with the floor. The floor looked so deteriorated, the plan was to cover it back up with lino. Our experts pointed out the benefits of restoring the original surface instead of replacing the floor covering. Stephen carried out a small sample test while on site, just using some mild chemicals he had in the van and a bit of elbow grease. The transformation was stunning and the HSE requested a bigger sample. Further samples confirmed there was indeed a beautiful and intact terrazzo floor underneath. The terrazzo floor would have been covered in lino many years ago – at a time when heritage preservation and restoration wasn’t in vogue and it was fashionable to cover up Georgian and Victorian craftsmanship with lino, beauty board, carpets, plastic, etc. The floor was probably covered up as there were a few cracks and holes in it, and it may have been deemed too difficult to maintain at the time. 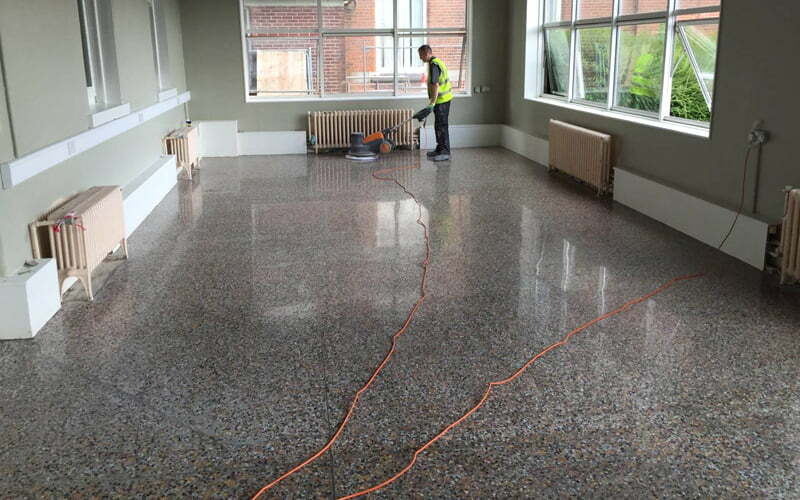 The terrazzo was layered with a levelling compound (to make it a completely flat surface suitable for the lino) and then covered in glue before the lino was laid. Once we removed all the lino, we revealed a very contaminated floor, with no sign of the terrazzo whatsoever. Our method was to grind the floor with diamond pads, starting with heavy duty pads and gradually using finer diamond pads at each step. These diamond pads brought back the natural shine of the terrazzo. The grinding also revealed all the cracks and holes in the floor, which were repaired using a suitable resin. A repair will always look like a repair, but we make them as seamless as is humanly possible. Once all the repairs were complete, the floor was polished to a high shine. 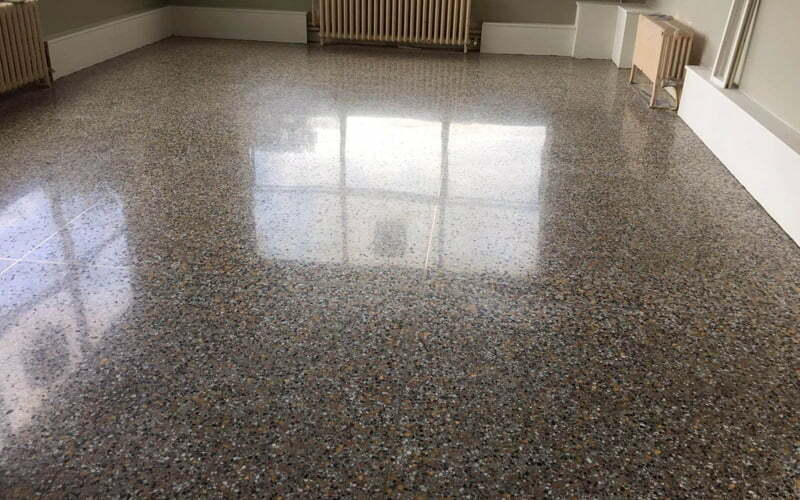 Once the required level of shine was achieved, the floor was sealed with a penetrating seal. This will help close the pores of the stone and prevent stains. The terrazzo floor will now be very easily maintained and kept in top notch condition by the maintenance staff. Regular cleaning with twister pads will prolong the life of the floor and maintain its brilliant finish. 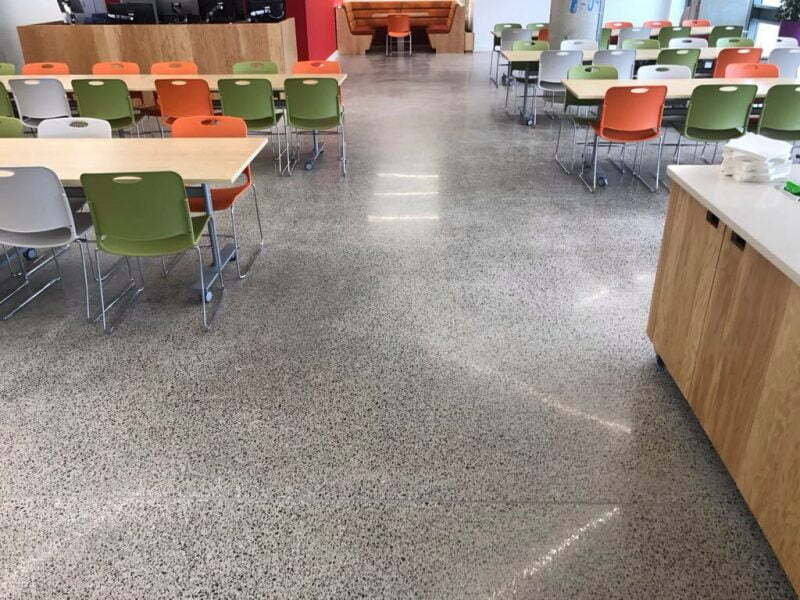 The transformation from dirty and contaminated floor to highly polished, restored and durable terrazzo floor is amazing. 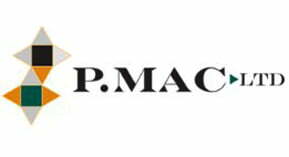 The P Mac team love nothing better than restoring and preserving heritage craftsmanship. They also love delighting their clients and exceeding expectations! In this case, the HSE was amazed by the results achieved and would like to extend these restoration works across other sites. 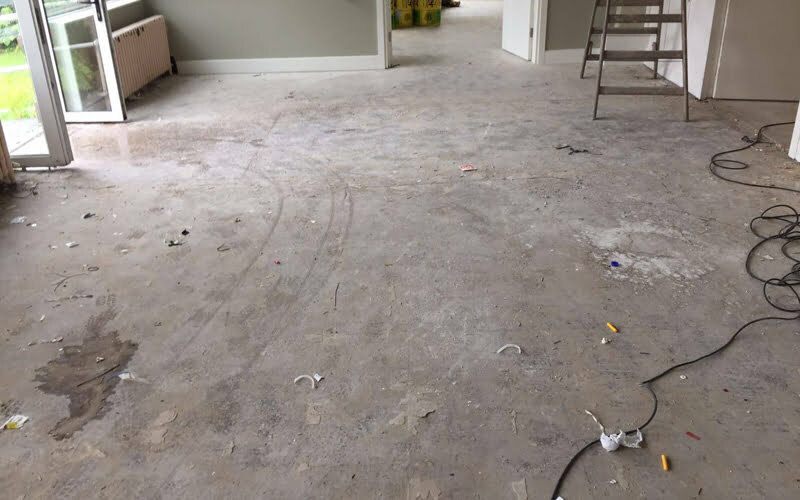 All credit to our expert manager, Stephen, who spotted the potential to restore and transform a floor that would otherwise have been neglected and covered up for at least another few decades!